Of course, we can also offer VAT Compliance for additional individual countries, if this is required. Billing then takes place according to our prices in the SELECT plan option. (EUR 140 monthly flat fee payment; with advanced payment for one-off yearly fee EUR 1596 (equating to EUR 133 per month, saving EUR 84). The use of the PAN-EU 6 package is possible after obtaining registration in all countries. If necessary in the case of tax audits or necessary correspondence for late payments/tax penalties, etc. EUR 150,– / Hour If necessary in the case of tax audits or necessary correspondence for late payments / tax penalties, etc. In addition to our core service, we can, of course, provide you with additional support on request. 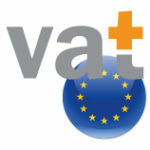 Please see here for more information about our European Value Added Tax Compliance services.